People generally buy a dictionary of quotations for one of two reasons--either to help in locating the source for wording of some half-remembered saying or else to better express themselves. But another reason exists for buying a book of quotations. That reason is because it makes such a wonderful gift. What more could you get for someone who works in one of the areas of statistics, probability, physics, astronomy, mathematics, engineering, medicine, nursing, dentistry, teaching, biology, botany, nature, chemistry or just has an interest in science? The answer is there isn't a better gift than one or all of the books from the Speaking Series for the cost. This is an item that the recipient will use practically on a daily basis. The material in the books of the Speaking Series will never be outdated because the material is historical. In effect, it is the perfect gift if there is such a thing. So when you are looking for that birthday present, the graduation gift, the Christmas gift, or the 'I just wanted to get you something' gift, first think of the Speaking Series. Complete information about each book can be found by clicking on the book cover. With so many well-written books of quotations on the market is it necessary that additional books of quotations are needed? We and our publisher agreed that there was a need since the standard dictionaries of quotations, for whatever cause, are sorely weak in providing entries devoted to quotation on science topics. 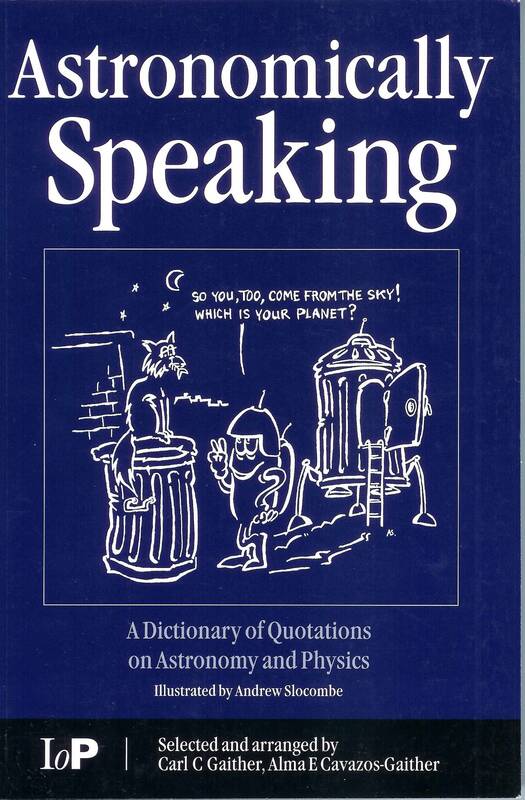 Books on scientific quotations are rare. Books on scientific quotations that are fully attributed and documented are virtually nonexistent. Our nine books fill a void for the researcher, the professional, the student, the writer, the politician, the teacher, and the individual who is interested in science. The books are excellent reference books and are user friendly. The material is arranged in a dictionary format and also has extensive author to subject and subject to author indexes. As a result these books are the perfect medium for locating a quotation for practical use or just for pleasure. 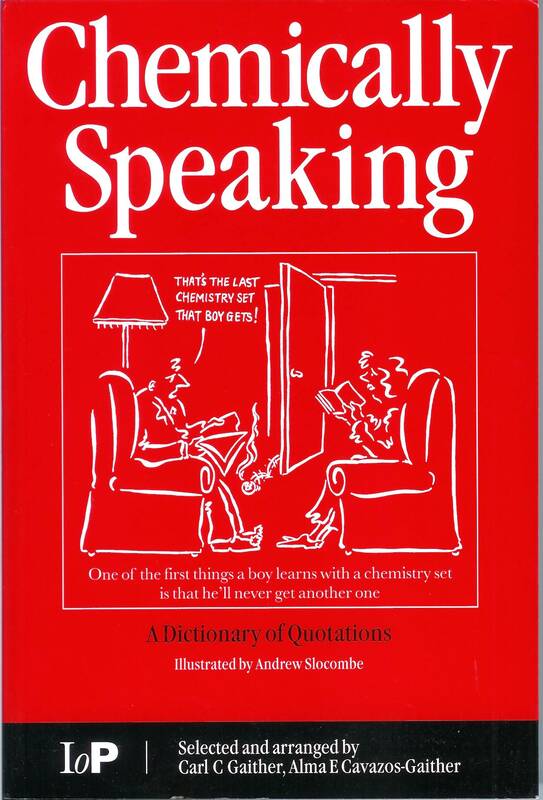 Taken individually or collectively, the use of the Speaking Series books will probably help the reader to find a single terse phrase which expresses an idea or opinion that would otherwise need to be stated in several sentences of original composition. The nine books of the Speaking Series becomes a master of ceremonies by introducing the reader to the great number of thoughts that lie within the pages of the book(s). Each book is a book of science quotations that provide one of the largest, if not the largest, published collection of attributed and documented quotations that exists in the world. The attributions give the fullest possible information that we could find to help pinpoint the quotation in its appropriate context or discover more quotations in the original source. When the original source could not be located we indicated where we found the quote. Sometimes, however, we only had the quote and not the source. When this happened we list the source as unknown and included the quotation anyway so that it would not become lost in time. Identify the author of the quotation. Identify the source of the quotation. Check the precise wording of a quotation. Discover what an individual has said on a subject. 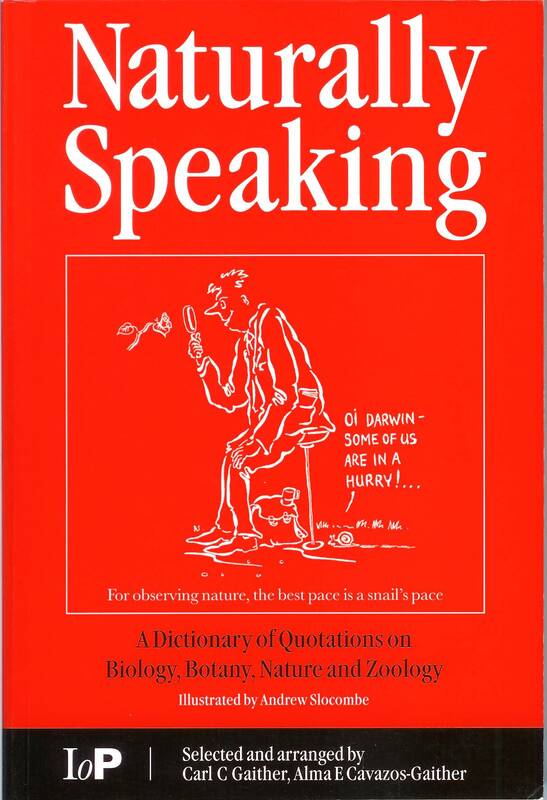 The 11,700 quotations of the Speaking Series plus another 6,400 new quotations are now in a format where you can search them by keyword(s) or by a phrase. This collection of quotations should be a valuable reference resource for the student, teacher, or any individual who is in need of accurate quotations and the source of the quotation. If you would like to go to the search page then click here.